AMIRTHA KIDAMBI vocals, harmonium, synthesizer, compositions. MATT NELSON soprano saxophone. NICK DUNSTON bass. 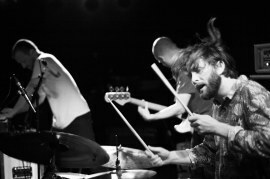 MAX JAFFE drums and sensory percusion. JASON JACKSON, alto, tenor & baritone sax. JAWWAAD TAYLOR, vocals, trumpet & electronics. JONATHAN F. HORNE, guitar, vocals. STEFAN GONZALEZ, vibraphone, drums, vocals. INGEBRIGT HÅKER FLATEN, bass. FRANK ROSALY, drums. Summer 2019 on request: ask us for availability. 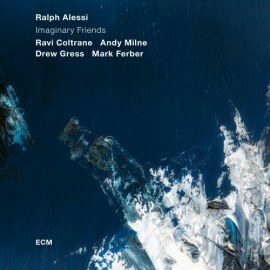 RALPH ALESSI trumpet. JON IRABAGON tenor sax. ANDY MILNE piano. DREW GRESS double bass. MARK FERBER drums. ETIENNE LECOMTE flutes & electronics. JAIME LUIS PANTALEÓN electric guitar & electronics. Duo or possibility to featuring HILDE MARIE HOLSEN trumpet. Duo or possibility to featuring ØYVIND HEGG-LUNDE drums. 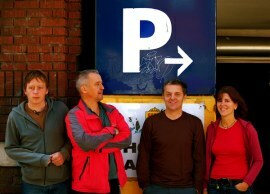 ready to play on festivals and special events on request. ask us for availability for 2019-2020. TONY MALABY saxophone BRANDON SEABROOK electric guitar. JACOB SACKS piano and organ. EIVIND OPSVIK upright bass. KENNY WOLLESEN drums. RICO LEE guitar. DEREK SHIRLEY bass. STEVE HEATHER drums. CHRIS ABRAHAMS piano. ERIC REVIS bass. KRIS DAVIS piano. JOHN BETSCH drums. NOËL AKCHOTÉ guitarra. ETIENNE LECOMTE flautas. LAURENT GUITTON tuba. ORIOL ROCA batería. ANDY MOOR guitar. ALBERT CIRERA saxos. RAMON PRATS drums. MARTIN KÜCHEN saxo. FERRAN FAGES guitar. ÀLEX REVIRIEGO bajo. VASCO TRILLA drums. DINO SALUZZI bandoneon. JOSÉ MARÍA SALUZZI guitar, requinto guitar. FÉLIX "Cuchara" SALUZZI tenor saxophone, clarinet. MATÍAS SALUZZI electric bass, double bass. U.T. GANDHI drums, percussion. BRANDON SEABROOK guitar. HENRY FRASER bass. DANIEL LEVIN cello. 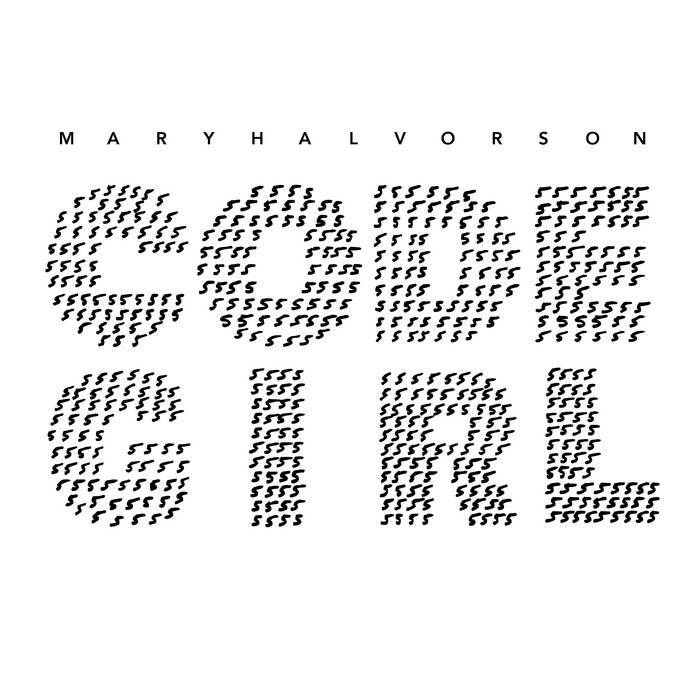 MARY HALVORSON guitar. AMIRTHA KIDAMBI vocals. AMBROSE AKINMUSIRE trumpet. MICHAEL FORMANEK bass. TOMAS FUJIWARA drums. Available for festivals and special events: from June 21 to September 21, 2019. On tour, available dates: from October 28 to November 10, 2019. JASON JACKSON alto, tenor & baritone sax. JAWWAAD TAYLOR vocals, trumpet & electronics. JONATHAN F. HORNE guitar, vocals. STEFAN GONZALEZ vibraphone, drums, vocals. INGEBRIGT HÅKER FLATEN bass. FRANK ROSALY drums. TONY MALABY tenor saxophone. JACOB SACKS piano and organ. BRANDON SEABROOK electric guitar. 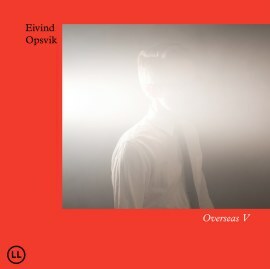 EIVIND OPSVIK upright bass. KENNY WOLLESEN drums and percussion. RICO LEE guitar DEREK SHIRLEY bass. STEVE HEATHER drums. + OCCASIONAL SPECIAL GUESTS: CHRIS ABRAHAMS piano. THOMAS MEADOWCROFT organ + revox. NOËL AKCHOTÉ guitar. ETIENNE LECOMTE flutes. LAURENT GUITTON tuba. ORIOL ROCA drums. 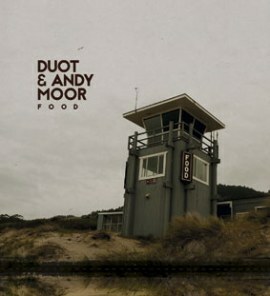 DUOT & ANDY MOOR "Food"
ANDY MOOR guitar. ALBERT CIRERA tenor and soprano sax. RAMON PRATS drums. MARTIN KÜCHEN soprano & alto sax. FERRAN FAGES guitar. ALEX REVIRIEGO bass. VASCO TRILLA drums. DINO SALUZZI GROUP "El valle de la infancia"
DINO SALUZZI bandoneon. JOSÉ MARÍA SALUZZI guitar, requinto guitar. FÉLIX “Cuchara” SALUZZI tenor saxophone, clarinet. MATÍAS SALUZZI electric bass, double bass. U.T. GANDHI drums, percussion. MARCEL BAGÉS guitar. FERRAN FAGES guitar. ALEX REVIRIEGO bass. VASCO TRILLA drums. DAVID TORN electric guitar. TIM BERNE alto sax. CHES SMITH drums. NEW ECM ALBUM OUT MARCH 2019 ! Available dates: from June 3 to 27, 2019. October 28 to November 13, 2019.
coming on February 1, 2019 on ECM Records! JASON JACKSON, alto, tenor & baritone sax. JAWWAAD TAYLOR, vocals, trumpet & electronics. JONATHAN F. HORNE, guitar, vocals. STEFAN GONZALEZ, vibraphone, drums, vocals. ANDY MOOR guitar. ALBERT CIRERA tenor sax & B clarinet. RAMON PRATS drums. You are a duo, until one day you suddenly become an augmented duo. Not with some other thing, but with someone else. And you're not any ordinary duo: you are Duot. You've been a stalwart of the Spanish jazz scene for over a decade, nonstop. No safety net. Just your instruments and yourselves. It was a possibility and you did it. And you still continue: you've kept your own voice and demonstrated that in Spain you can leave music school and concentrate on your career in free improvisation in general, as well as constructing a discourse of your own in particular. That's where personality gets constructed, yes, the only place where intuition develops that allows you to interact in a context of freedom, both unprotected and exposed: the raw, inclement, ruthless stage. There are evenings when the clubs are packed; likewise there are nights when only a couple of spectators are there before you. You play and you play, and you keep on searching, without knowing precisely where you're going, nor where your destination is. Only one thing is for sure: the exact path is paved when the duo, Albert Cirera and Ramon Prats, rise above the convergence of their ideas and their sounds. Then, one day, Duot joins Andy Moor, and they are no longer a duo. They are something else. Bigger, stronger, richer. It's as if your music had always been a crossroads that someday had to converge to provide some different meaning. Moor is a universe unto himself, both with The Ex and with his dozens of projects and musical adventures, and his encounter with Duot is a controlled explosion of influences, lineups, and disparate ages; yet you resonate together in the same frequency, nonetheless. This is a disc to be listened to with your eyes closed, insulating your consciousness so that nothing else can enter, and also so that nothing goes unnoticed: not a single note, nor sound, nor the faint echo of the last whisper at the end of each track. The music contained in Food is stunningly sincere. Cirera, Prats, and Moor speak the same language, their own, which is not that of Duot with a guest, but that of a trio. Though newly born, they express themselves as a singular force that, between them, brings decades of experience. Something seductive and magnificent has been captured here, and Duot now feels the overwhelming need to share it on those same terms. Yahvé M. de la Cavada, journalist. 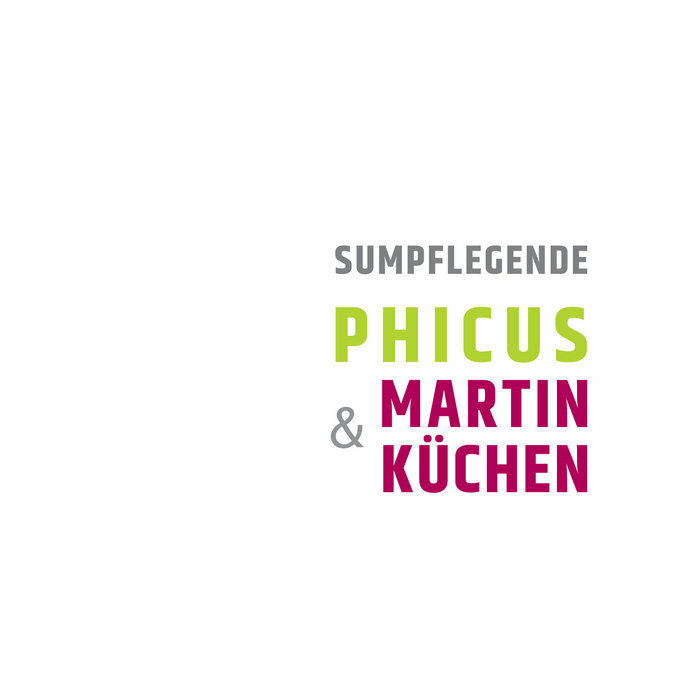 MARTIN KÜCHEN soprano & alto sax. FERRAN FAGES guitar. ÀLEX REVIRIEGO bass. VASCO TRILLA drums. 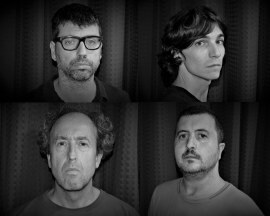 Phicus is a trio from Barcelona composed of Ferran Fages (electric guitar), Àlex Reviriego (double bass) and Vasco Trilla (drums). They speculate with silence, pull the noise out of joint, rearrange the timbre, scrap the tradition to explore their very own harmonic universe forged of the energy of a blazing forest into flame, where solely simple, lanceolate, obverse-shining leaves remain alive. 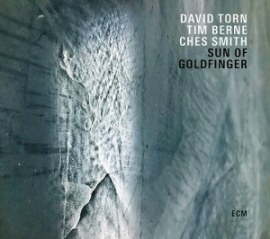 They joined swedish sax player Martin Küchen, internationally aclaimed improviser known for projects as Trespass Trio, Angles and his influential solo projects. In october 2017 they meet for a week on an intense work, reherasing, and touring. MATS GUSTAFSSON, saxs, fender rodhes, electronics . 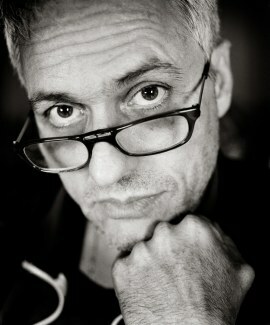 JOHAN BERTHLING, bass. ANDREAS WERLIIN, drums. TERRIE HESSELS, guitars. ARNOLD DE BOER, vocals, guitars and sampler. ANDY MOOR, guitars. KATHERINA BORNEFELD, drums and vocals.